I am currently in the midst of a complimentary three-month trial of XM satellite radio. One of the many perks of this is access to the Pearl Jam channel, a 24-hour celebration of all things awesome. While I can neither claim to be their biggest fan or their most astute historian, my admiration for these Seattle rockers began when I first heard Ten and has continued unabated since then. 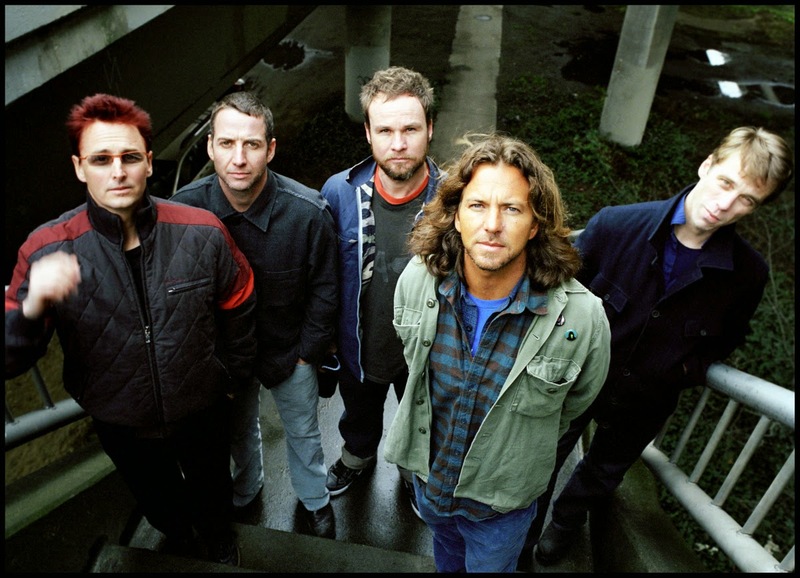 Now in their third decade together, Vedder, McCready, Gossard, and Ament (with the welcome addition of Cameron in 98) have skillfully avoided the pitfalls that claimed so many of their grunge brethren. One by one, their contemporaries succumbed to addiction, infighting, and F.E.D.S. (Front-man Early Demise Syndrome) before transforming into half-hearted attempts to restore their creative peaks. To be fair, I have heard many people argue that Pearl Jam peaked early (“they haven’t made a good album since Ten” / “I just can’t get into their new stuff”) and if you dove into their subsequent catalogue seeking a band desperately trying to recreate their groundbreaking debut it only stands to reason that you would be disappointed. However, I would argue that it was (and is) their reluctance to embrace commercialized nostalgia that made them something far more than a reliable rock band, they became an interesting one. That isn’t to say that Pearl Jam’s adventurous philosophy prevents creative missteps (remember “Bugs” from Vitalogy?) but it does bring the promise of continued brilliance unbridled by adherence to formulaic expectations. I may not love every song (or album) that they release, but that was never my expectation. Instead, I get to witness a creative process robust enough to put “Lukin” and “Off He Goes” on the same album without a whiff of artistic contrivance. If I need to hear Eddie opine about insects over a sickly accordion for the opportunity to sing “Unthought Known” on a road trip with my wife, then so be it. Unfortunately, we all continue to suffer through the asinine zero-sum game of Pearl Jam Fans Vs. (no pun Intended) Nirvana Fans; as if enjoyment of one constituted a dislike of the other. I am fully capable of owning and appreciating Nevermind and Unplugged in NY without ever being convinced that Kurt Cobain was the greatest rock front-man to emerge from 90’s. At the risk of blasphemy, I would venture so far as to say that I have benefited more from the byproducts of Nirvana’s disbanding than I would have from their continuation. But I digress…. No discussion of Pearl Jam would be complete without mentioning their prowess as live performers. I have had the privilege of seeing them several times, and they are unquestionably talented musicians who remain demonstrably grateful for their fans and each other. That is no small feat in modern music where bands charge their attendees exorbitant fees for the dubious honor of watching the original members conceal their contempt for each other in exchange for large paychecks. In closing, thanks for a career of fearless songwriting, blistering live performances, and providing much of the soundtrack of my youth. Keep it up guys. Music still needs you.